The Clerk of Court is the chief election officer of the parish, a member of the Board of Election Supervisors, and also a the custodian of voting machines. 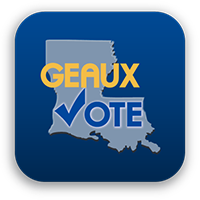 The Board of Election Supervisors consists of the Registrar of Voters, the Clerk of Court, the Parish Chairmen of the Democratic and Republican parties, and one member appointed by the Governor. There are 18 precincts in Red River Parish, and The Absentee votes count as an additional precinct. The Board of Election Supervisors selects commissioners-in-charge, commissioners, and alternate commissioners at random from a list of persons who have been certified by the Clerk. This is done at a public meeting of the Board of Election Supervisors. On election day, the Clerk’s office is open from 5:30 a.m. until all returns have been tabulated. In-house voting machine mechanics and personnel are available to assist voters and commissioners throughout the day.